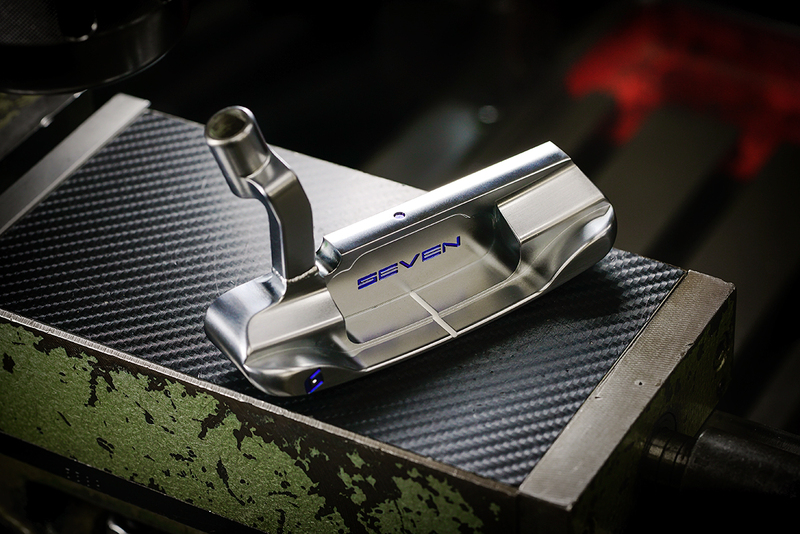 I designed 5 different SEVEN X GOLD’s Factory putters so far each one has sold very quickly after being added to the TSG Pro Shop; this is #4 of 5 also based on the same SM490A Seven Putter head. 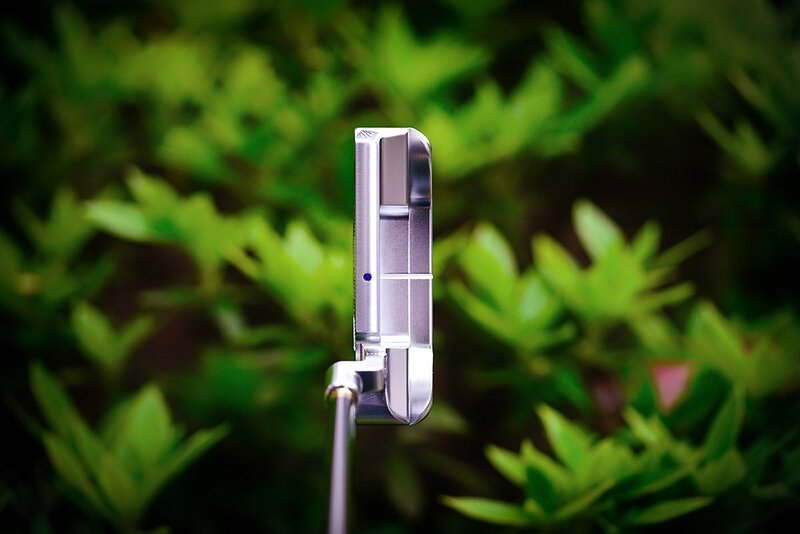 This putter features a real German silver vertical PZ milled face insert which we found not only provides a deliciously soft feel at impact but also imparts a straight forward end over end roll on the ball. 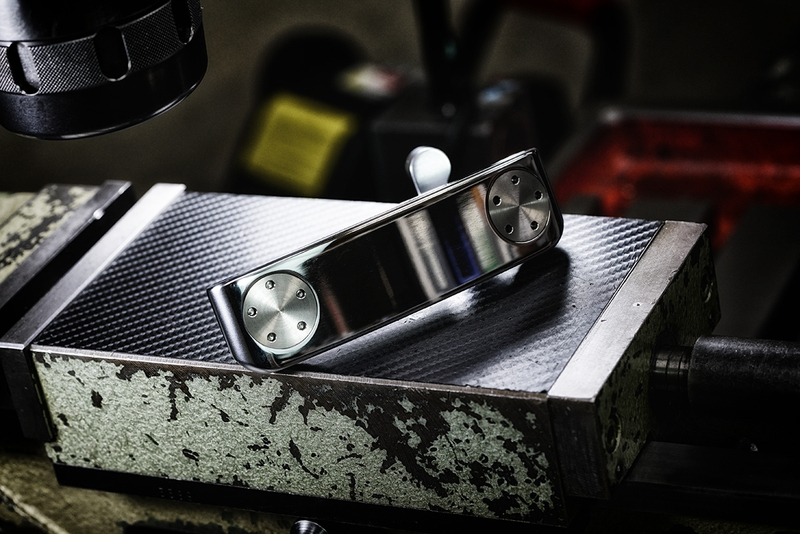 This putter’s neck has also been cut off then shortened to be later welded back on. 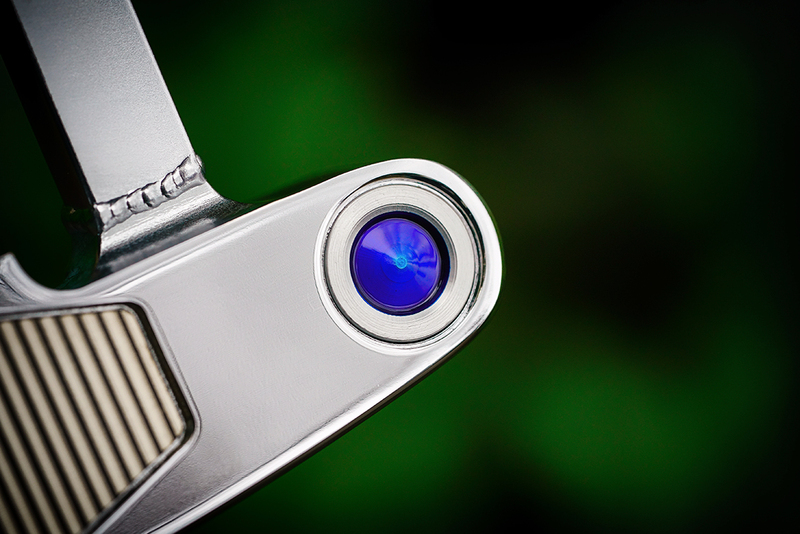 An arc reactor in translucent blue was added to the heel simply for how cool it looks. 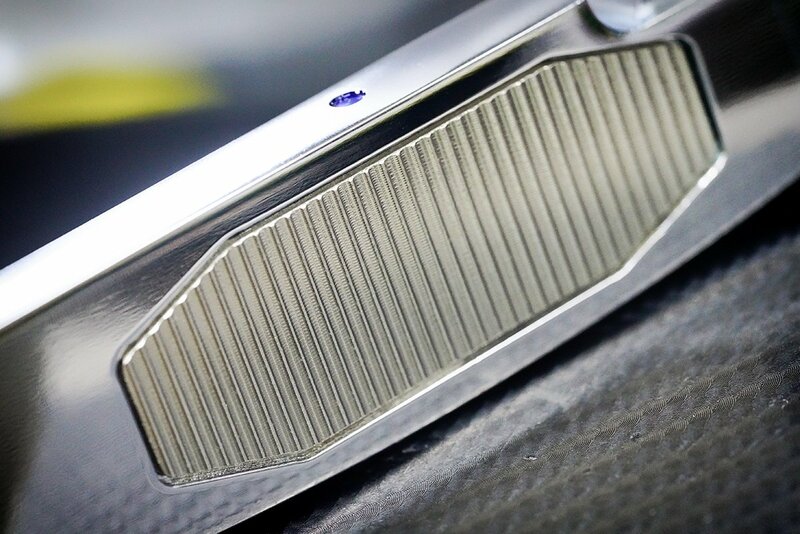 Above a close up look at the hand milled vertical PZ milled german silver insert. 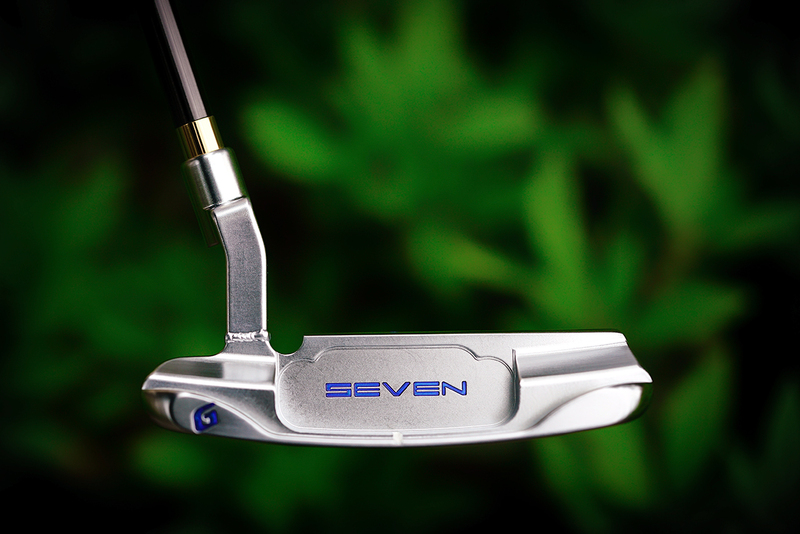 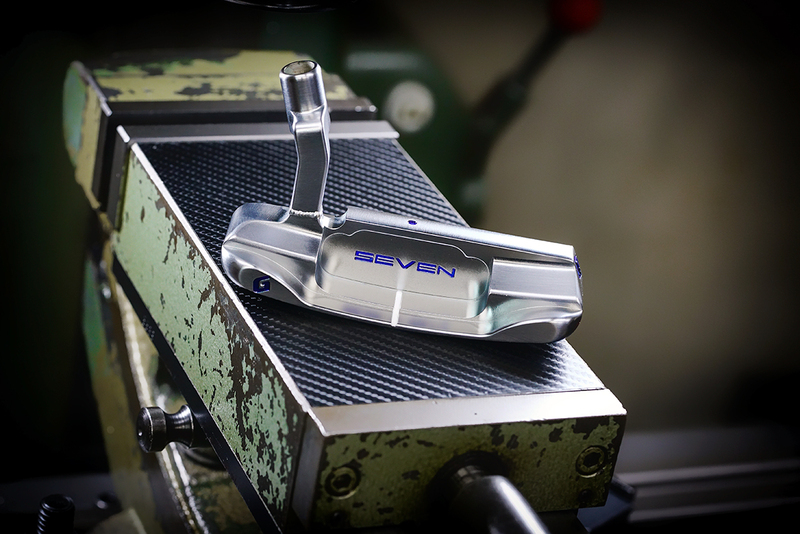 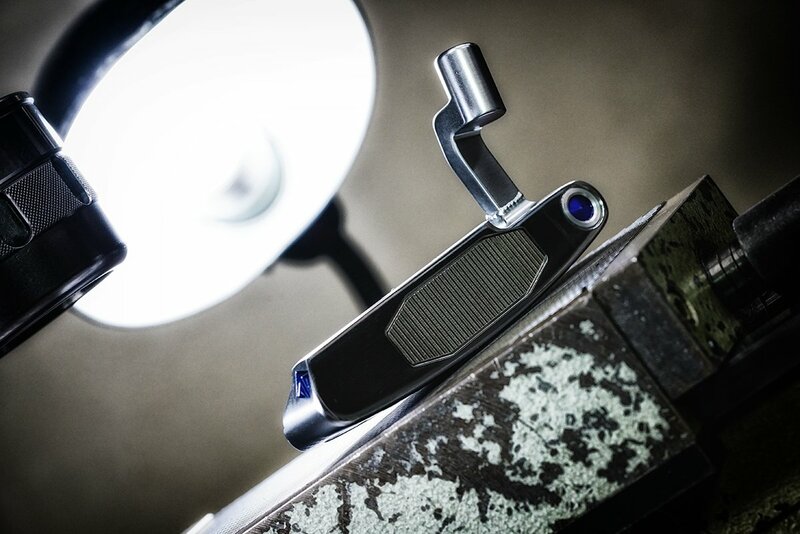 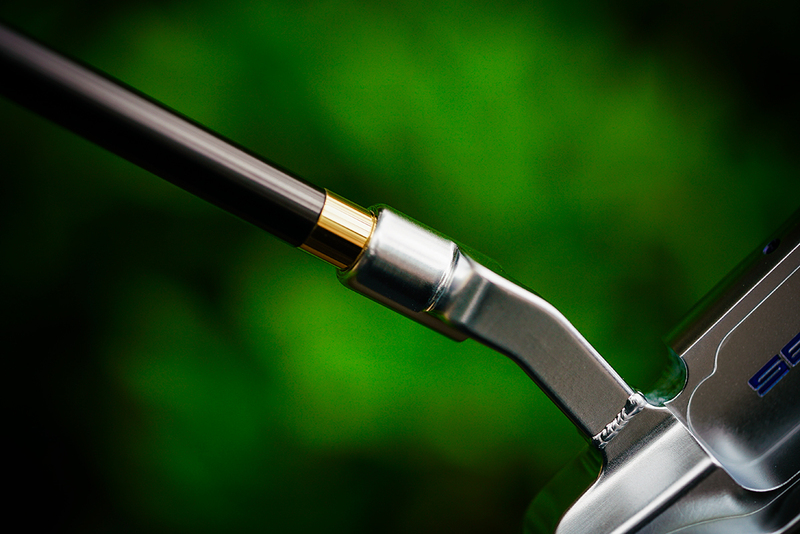 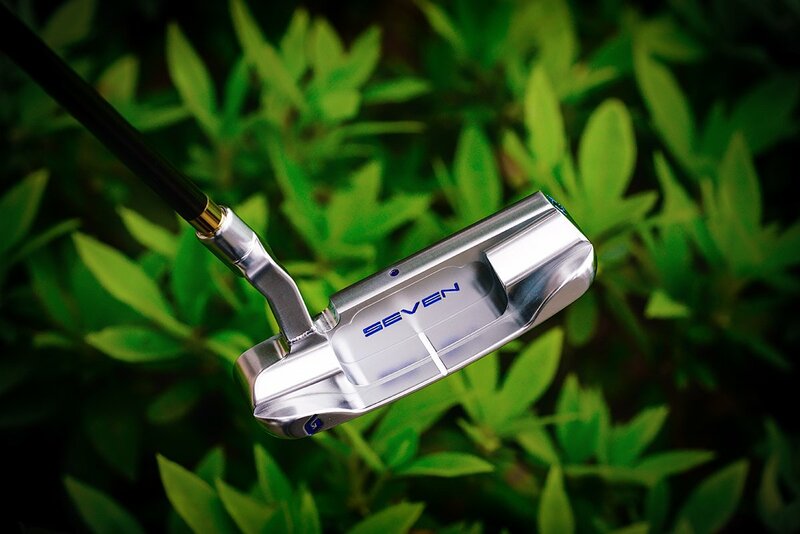 Above – this putter while finished in Japan NiCr satin has a polished sole and face area. 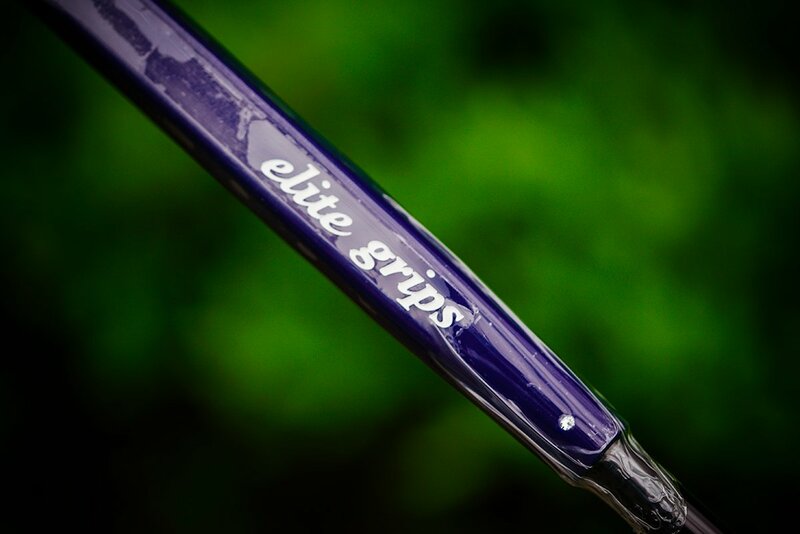 Above – the rest of the body is soft satin for less glare and notice the tilted G in translucent blue on the toe. 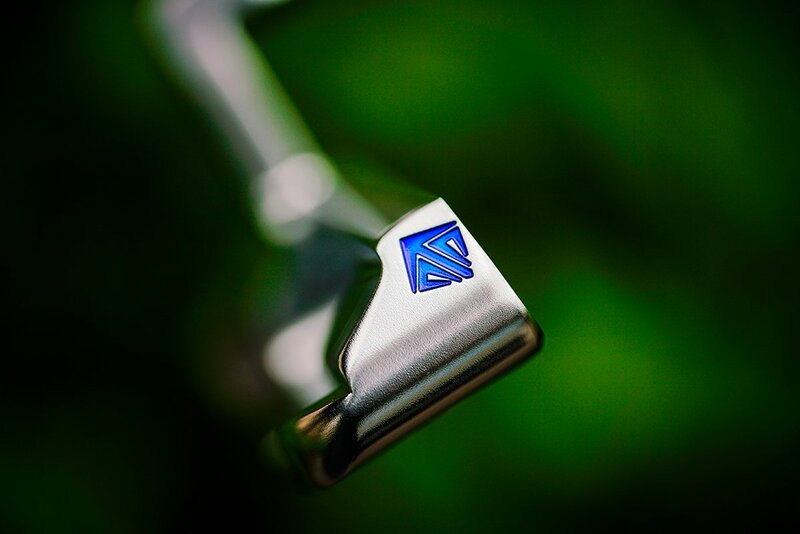 Above – as you can see the quality is second to none, this is hand work folks. 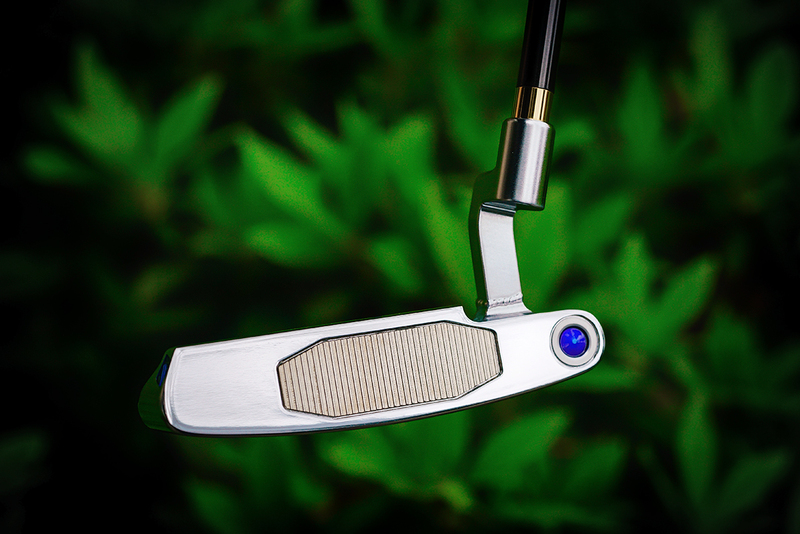 Above – the german silver insert has a very cool look to it at different angles sometimes appearing silver while other times a light hue of gold depending on the sun. 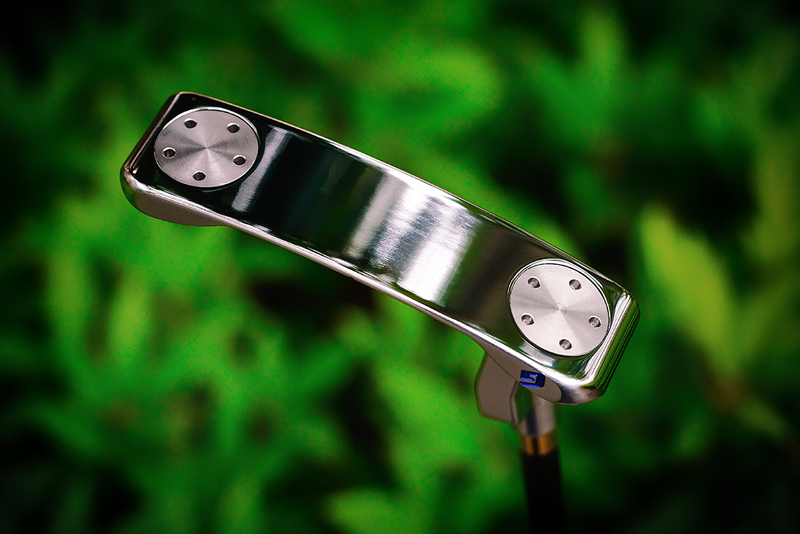 And of course we had to add the VM tech insert finished in gold for improved feel, balance, and head weight. 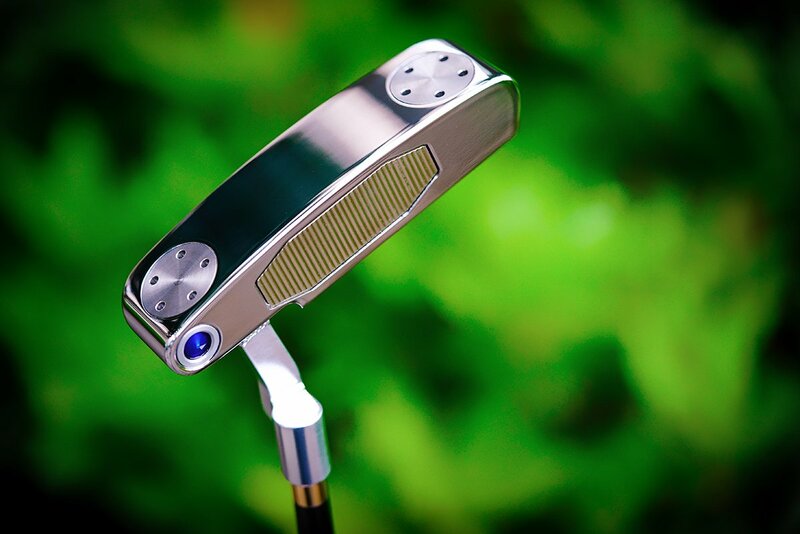 Thank you for reading, for those interested this putter will be listed in the TSG Proshop in several days.